Bright golden yellow foliage forms dense mats, tiny white flowers bloom late spring. 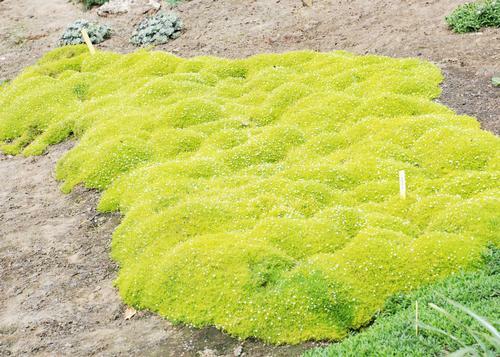 Creeping moss-like evergreen groundcover. Best suited for the rock garden or between stepping stones. Prefers moist areas and will tolerate some.